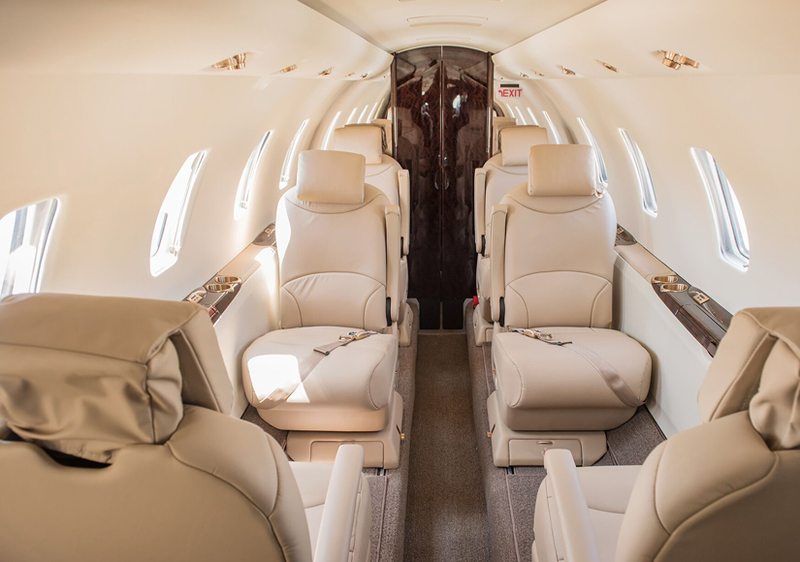 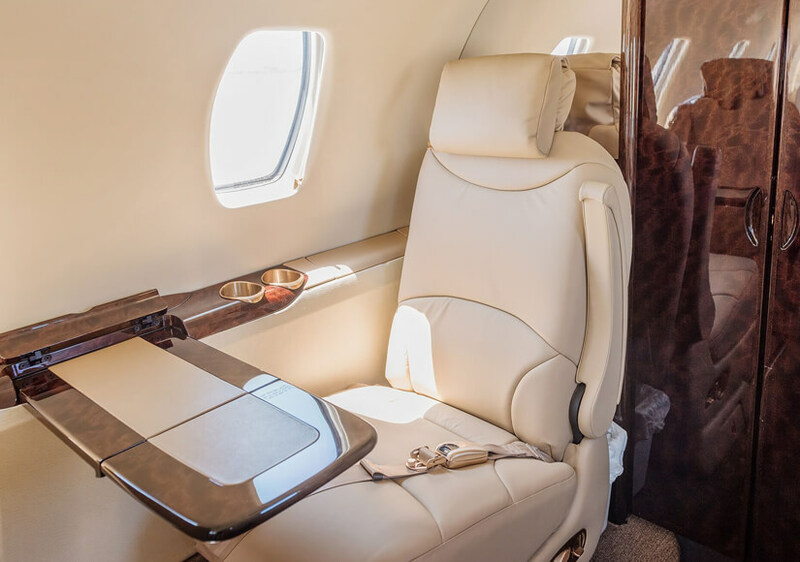 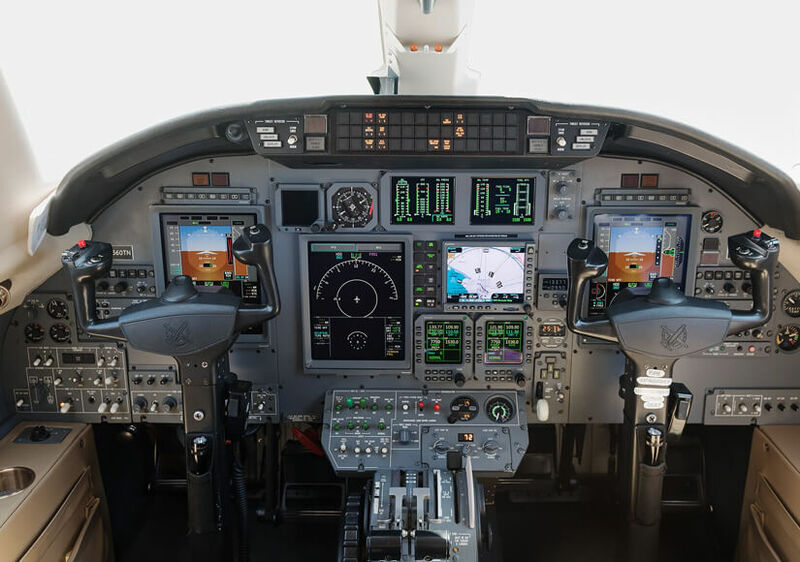 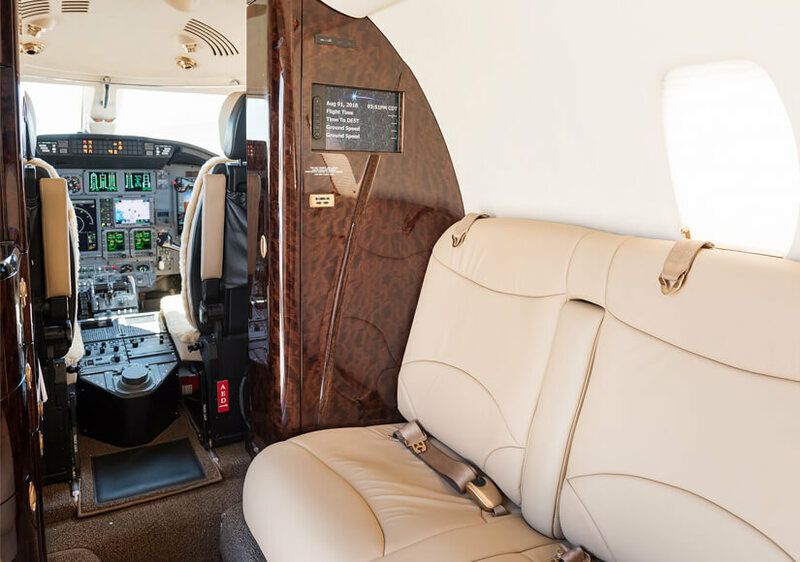 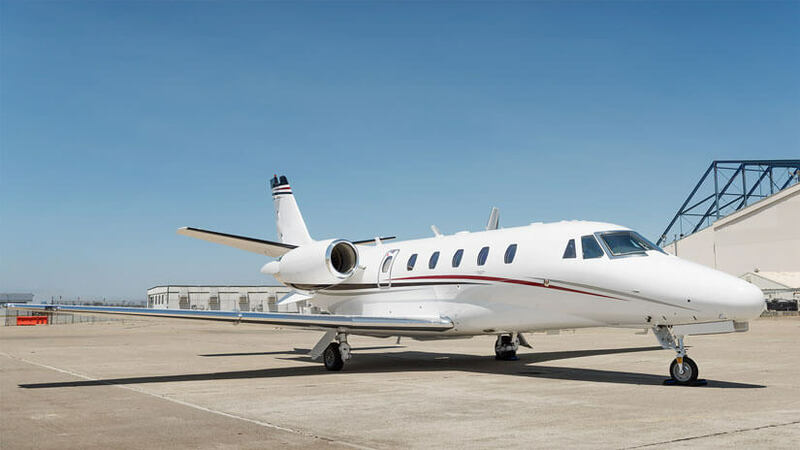 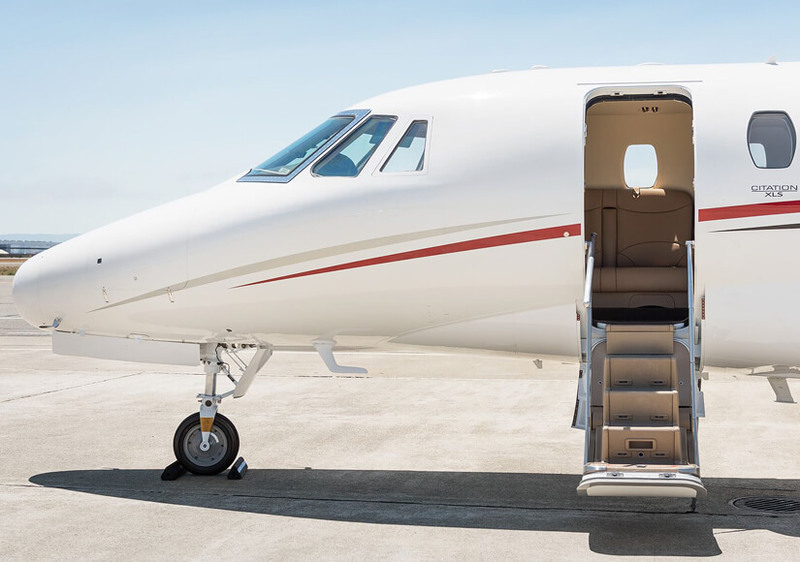 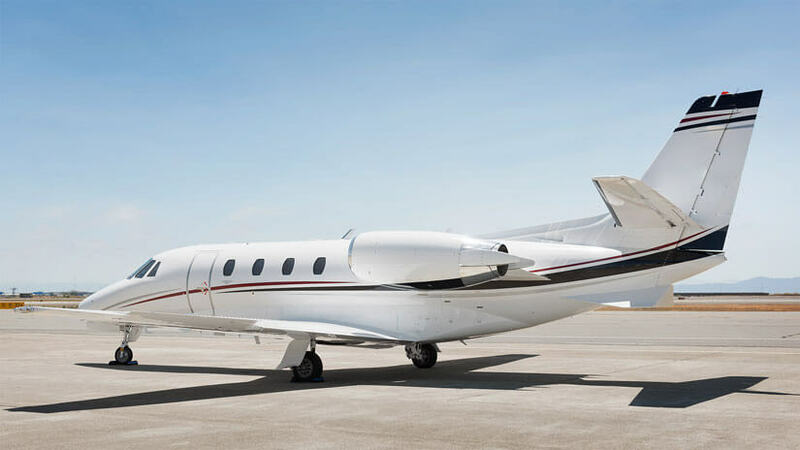 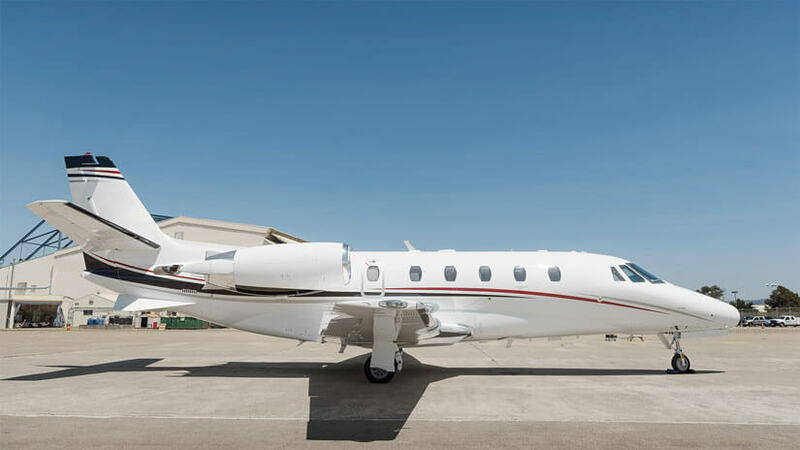 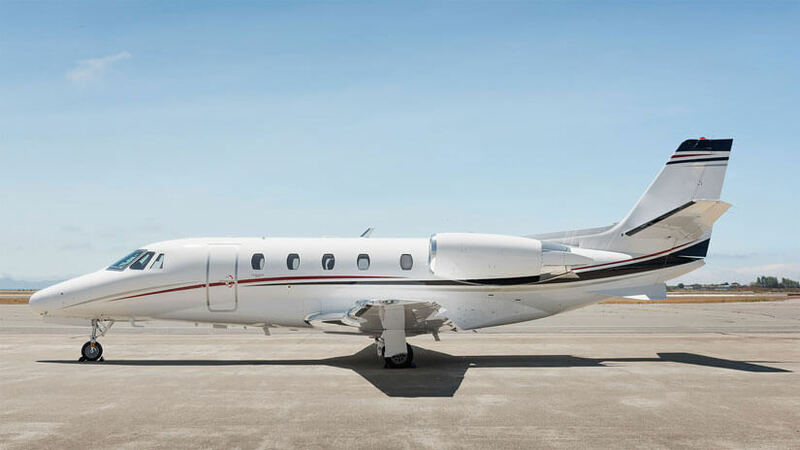 The Citation XLS is the updated version of the Citation Excel and goes faster and further than its predecessor. 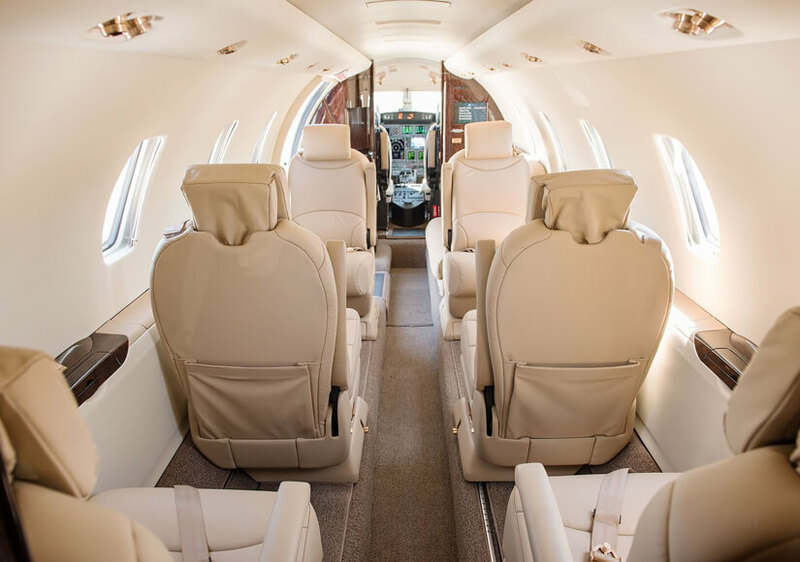 The 5.7 feet high interior of the XLS holds nine passengers in a cabin that’s quiet and comfortable. 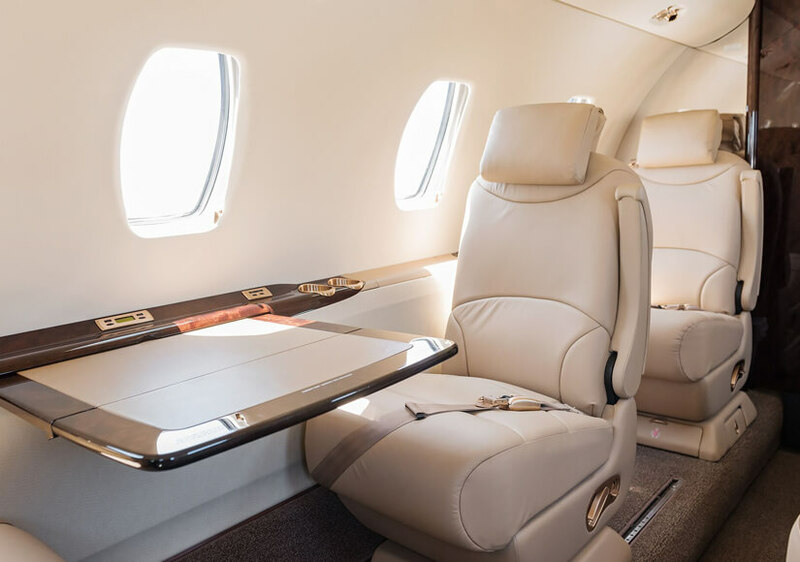 Details like fold-out tables, sliding headrests, and seats two to four inches wider than in previous models make flying comfortable. 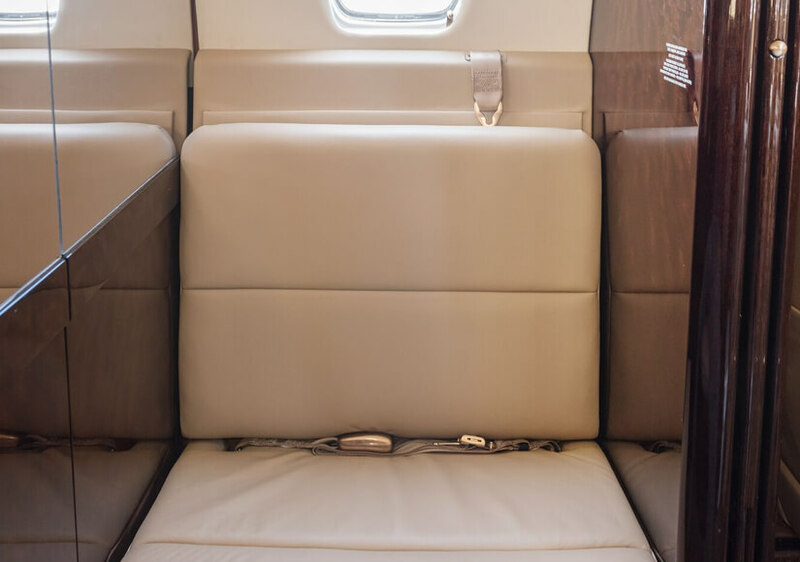 A couch (rated to takeoff/landing safety standards) comes standard. 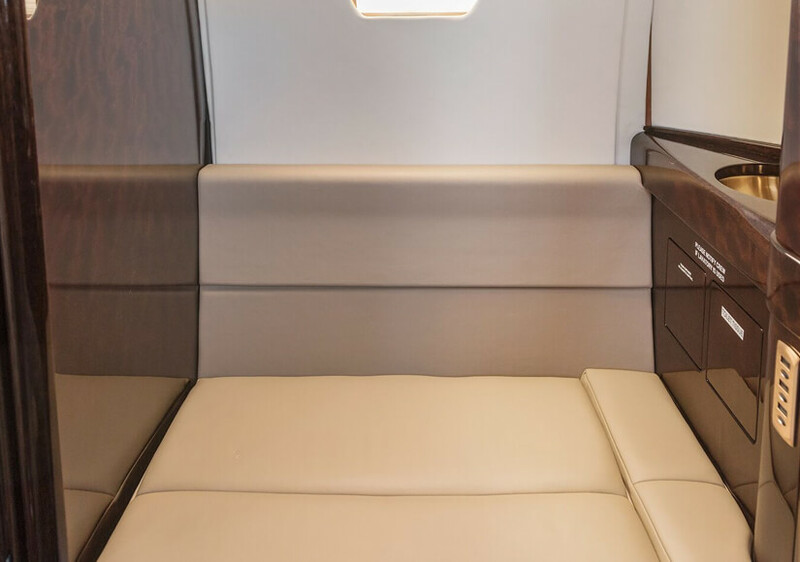 Indirect LED lighting is installed to give the cabin a roomier, more natural feel and comes with the benefits of producing less heat and improved longevity. 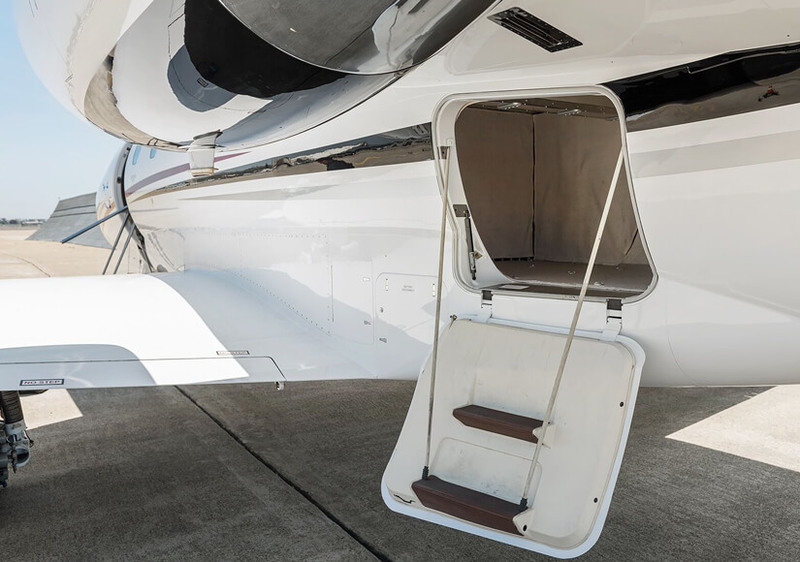 An external baggage compartment provides 80 cubic feet of storage space, along with some additional space in an internal closet. 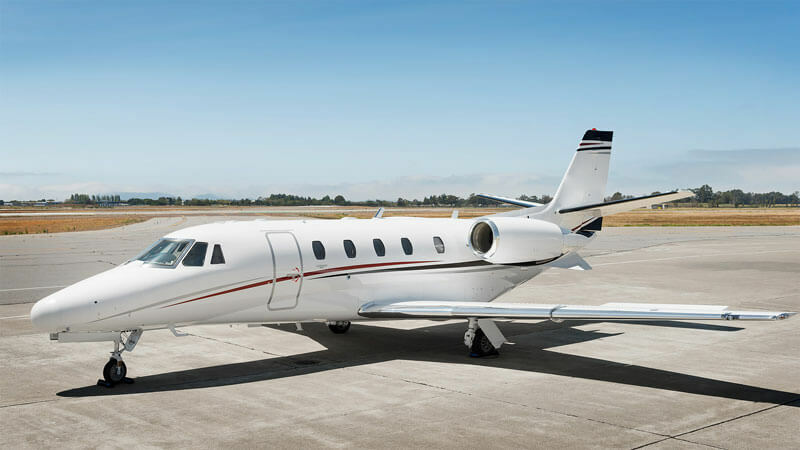 The XLS boasts excellent handling capabilities, reliable systems, and consistent delivery of smooth, quick flights. 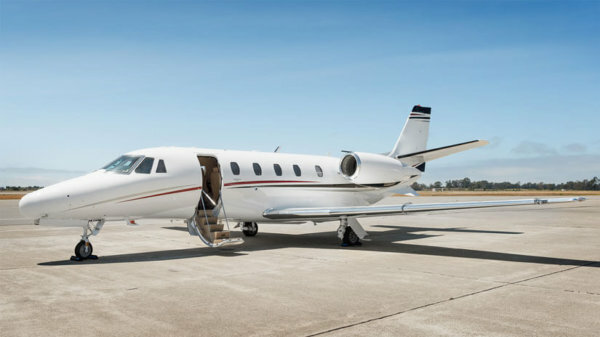 This jet can climb to its flight level of 43,000 feet in just twenty-five minutes and can cruise at 430 kts.. 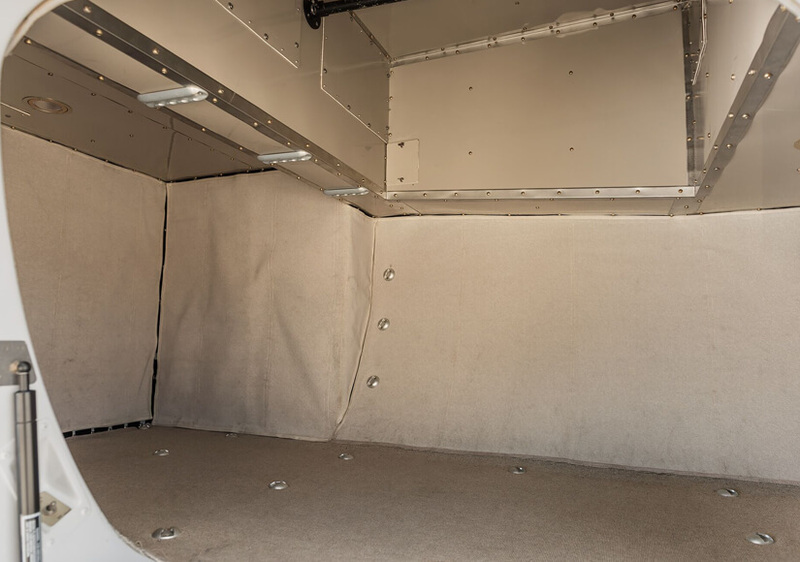 The XLS can reach a range of 1,900 miles with four passengers.